Simple Database System. 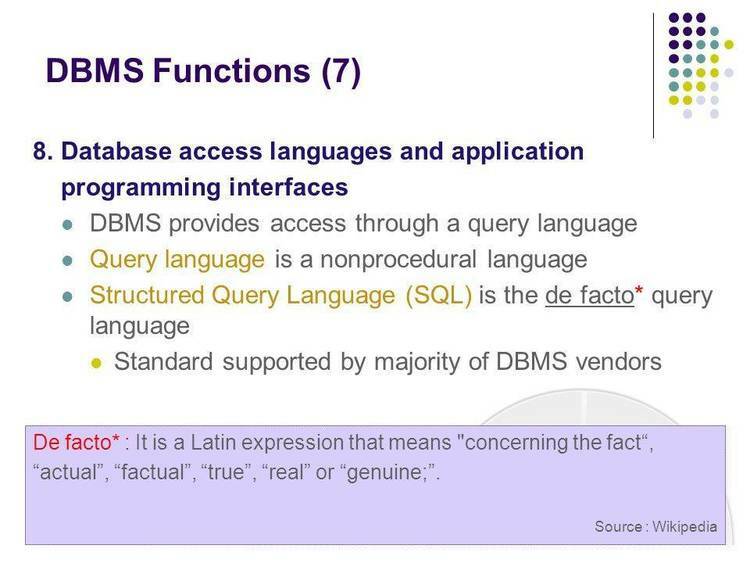 A small DBMS with C source included. Intresting. DIFFERENCE as well as some others. SDB maintains a separate file for each relation that the user creates. each containing one tuple from the relation. since the time the relation file was last compressed. space toward the end of the file. each tuple within that relation becomes a candidate for selection. the occurances of that relation name in the selection expression. to in the boolean part of the selection expression. the boolean expression evaluates to TRUE become the selected tuples. specification of an alternate device or extension. text is anything that is not enclosed in angle brackets. 2. the type of the attribute is either "char" or "num"
been stored) it is extended by 100 tuples on the next store operation. optionally by "ascending" or "descending"
4. definition mode is indicated by the prompt "SDB-DEF>"
users program should be linked with the SDBUSR.OBJ object library.